On this last weekend in January, I resumed another pass time, playing golf. You won't see a golfing blog from me any time soon, but I do intend to carry my camera in my golf bag whenever possible. I've recorded at least one lifer (Redhead Duck) on the golf course. On this Saturday we ended up at Hazelmere golf course in South Surrey, just on the edge of the US border. Last year I saw a Horned Lark while playing here, but did not have a camera to record it. 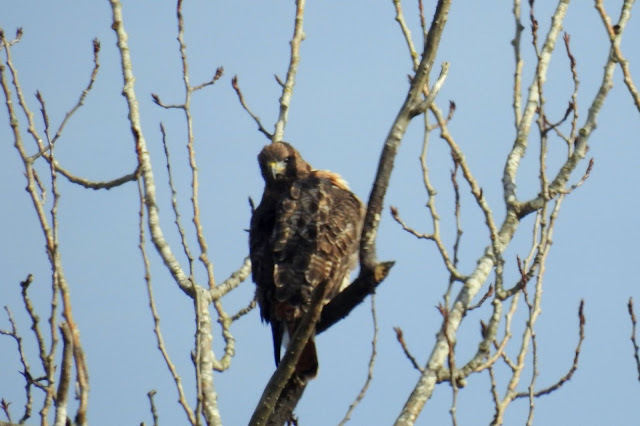 On this round the only notable bird was this Red-tailed Hawk. On my way home I took a detour down Colebrook Road, as there had been some Cinnamon Teal reported there. 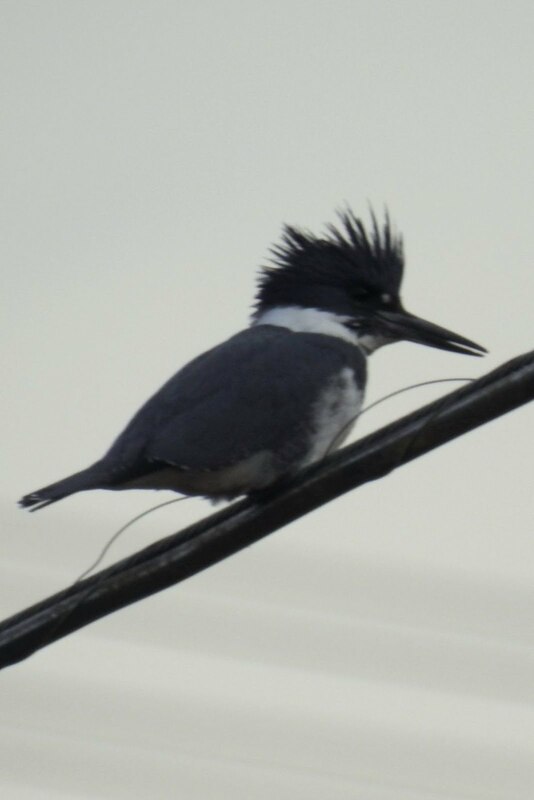 I did not see the Teal, but did encounter my first Belted Kingfisher of the year. 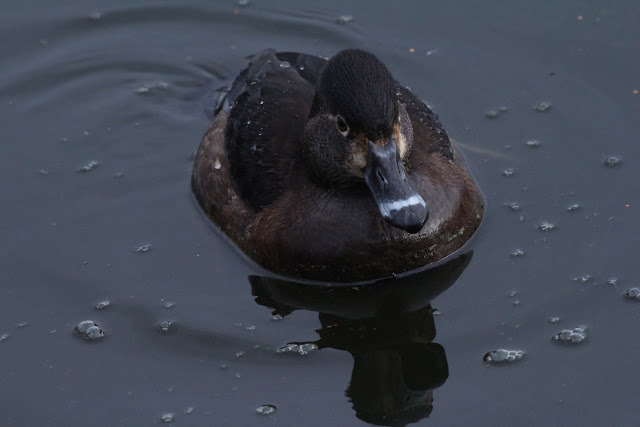 On Sunday morning I decided to visit Reifel Bird Sanctuary as it would be the best place to pad my 2017 Year list. On the drive in, I spotted a a number of colourful ducks in the slough along the entrance road. They were Common Merganser males, a good bird to see early in the year. 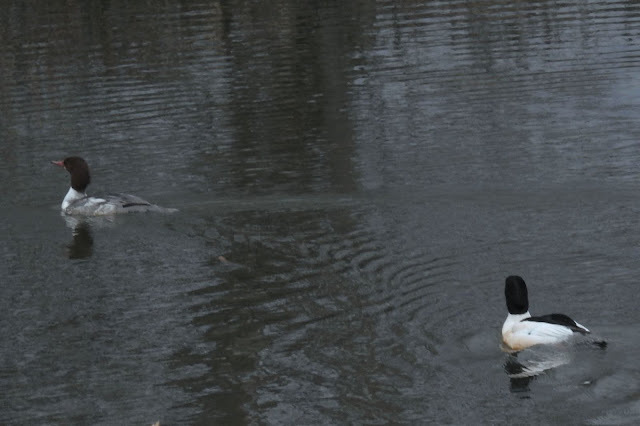 After breeding season, the females and offspring will still be around, but the males will have abandoned the family and headed for parts unknown. Here's a photo of a male and female. 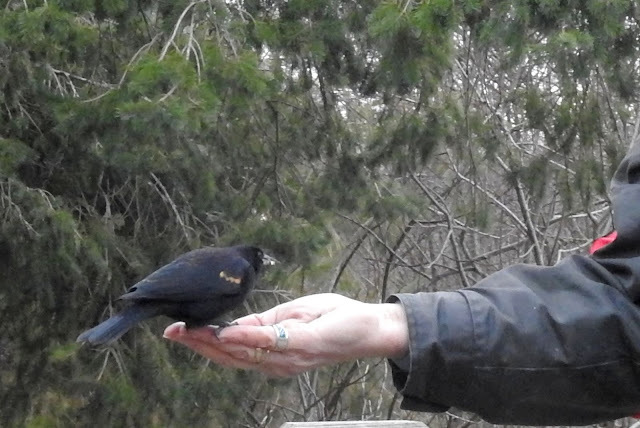 The female is on the left. She has a similar silhouette, but the head colour is reddish instead of green. 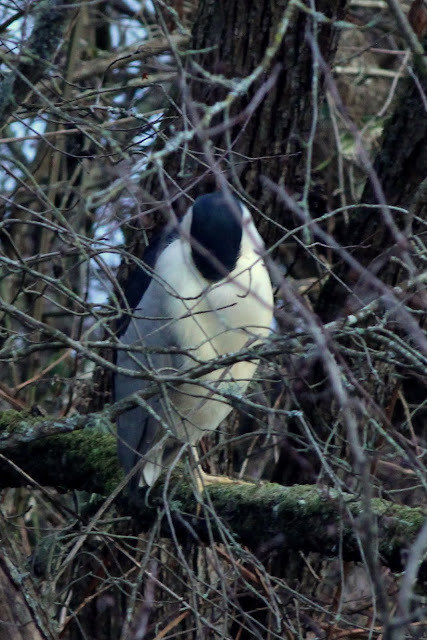 After parking and entering the Sanctuary, I checked out the Black-crowned Night Herons. They are perennial winter visitors at Reifel. They're active at night, but always sleeping during the day. The don't try too hard to hide, I guess predators shy away due to their size. 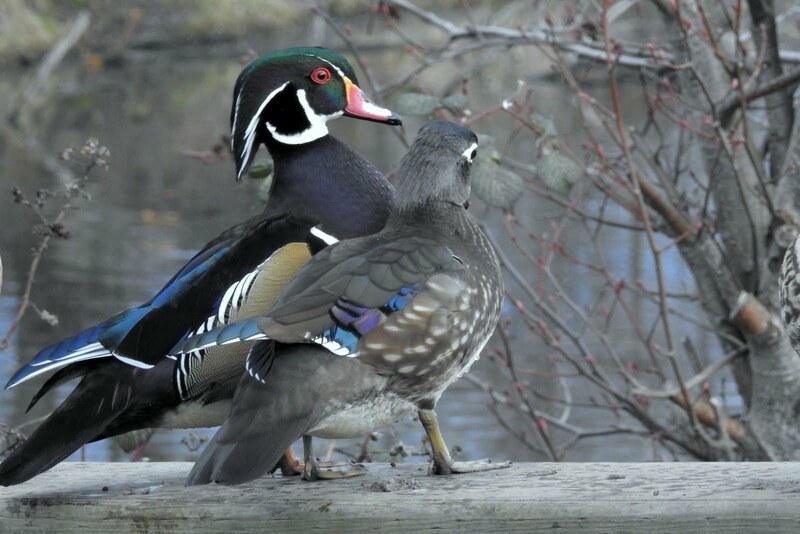 Next up was a pair of Wood Ducks. 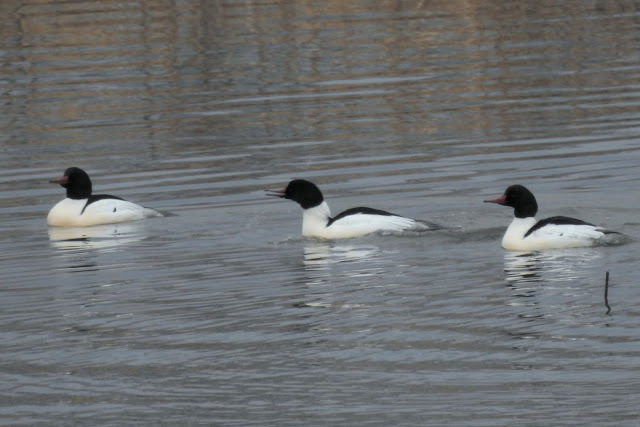 It looks like they've paired up and selected a nest box. 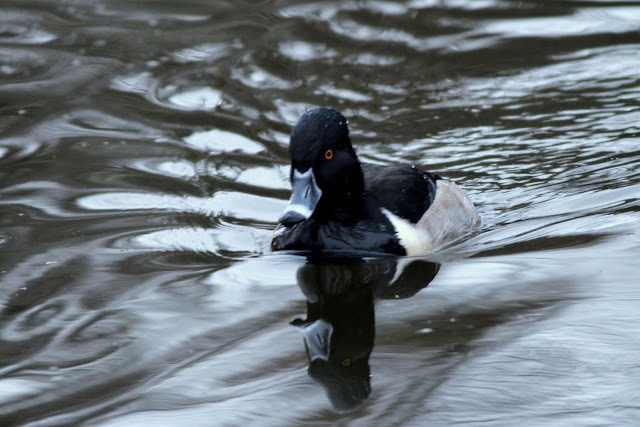 According to an article in Reifel's Marsh Notes magazine, they may wait until March to start incubating eggs. Another common duck at Reifel is the Ring-necked Duck. I saw the female first so she gets top billing on the year list. 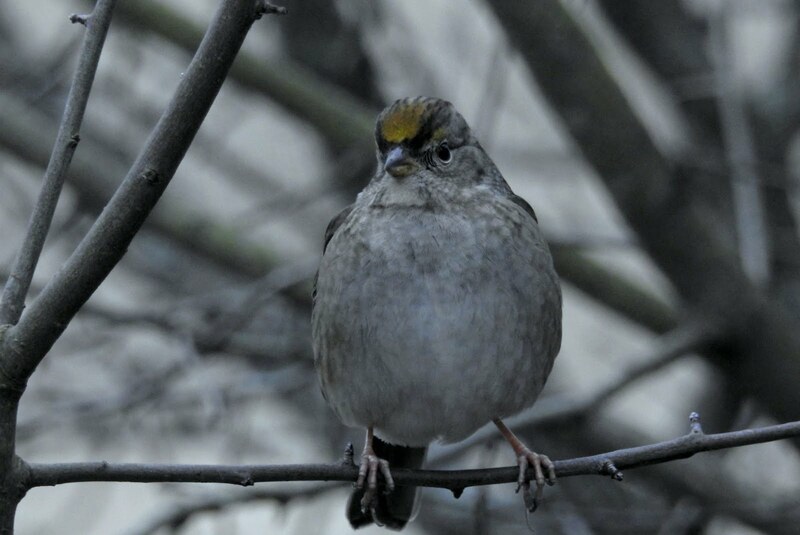 The Golden-crowned Sparrow is very common here in the winter, and one always seems to give me one of my best photos of the day. I now reached the North-west corner where Owls are known to roost. 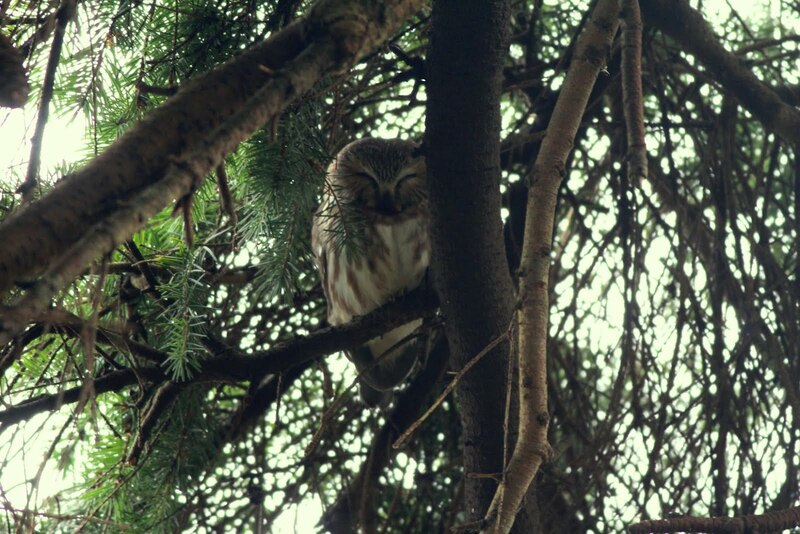 I saw but did not photograph a Northern Saw-whet Owl. Here's a photo from 2015 when one was more accessible. These Owls sleep during the day and need to find a secure place to hide from predators such as the next one here. 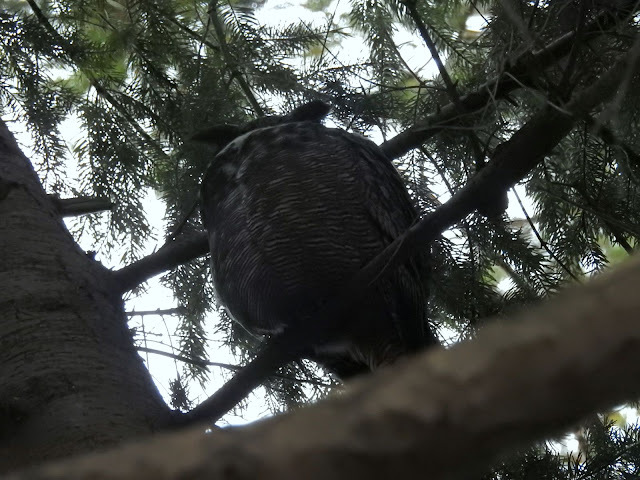 This Great Horned Owl was sleeping within 20 - 30 ft of the Saw-whet. The GH Owls prey on smaller owls as well as rodents and voles. I continued on my walk around the sanctuary. I came across this interesting scene near the end of my walk. I've often seen Chickadees eat seed from the visitors' hands, but this the first time I'd seen Red-winged Blackbirds doing it. 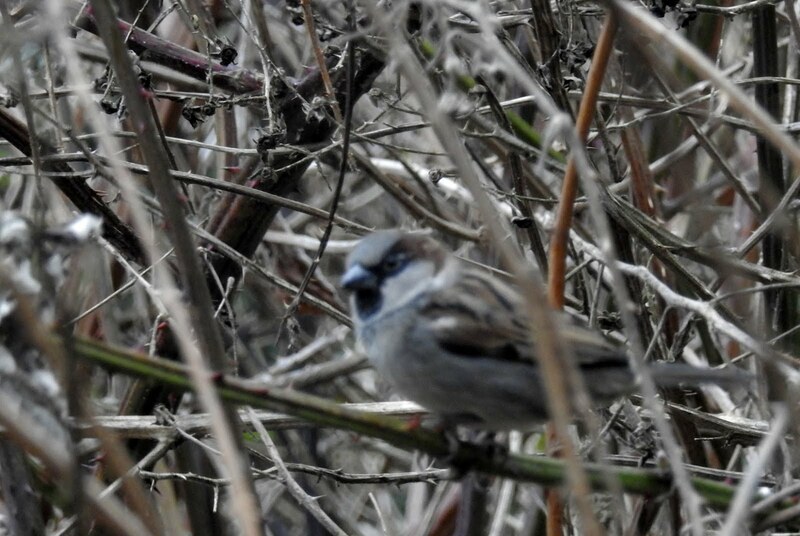 My final bird was the common import from Europe, the House Sparrow. The photo quality is poor, I'll try to take a better one next time I visit Reifel. This capped off January 2017. The 54 species is the most I've seen in January since I started keeping year lists in 2012. It will be very challenging to maintain this pace in subsequent months.